Surveyors for the Harris County Flood Control District are fanning out across Harris County’s 22 watersheds this week, part of a major push to repair more than $84 million in bayou and drainage channel damage caused by Hurricane Harvey. 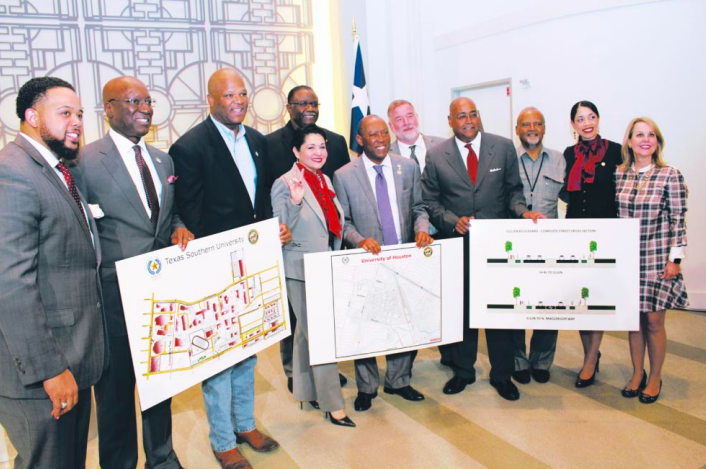 On March 27, Harris County Commissioners Court approved a total of $12.5 million in initial contracts with 15 engineering firms that will design those repairs. That design process kicked off this month with topographic surveys and geotechnical field work at hundreds of damage sites around the county. Local dollars will be leveraged to secure federal grant funding from the Natural Resources Conservation Service (NRCS) and the Federal Emergency Management Agency (FEMA) to design and construct the repairs. More than 1,200 individual damage sites were verified and prioritized after Hurricane Harvey. This included sinkholes, bank erosion, failed concrete, collapsed outfall pipes and other damage. These damaged sites were then grouped for project design by the selected engineering firms. During this phase, Harris County residents may see workers out along the bayous and channels with survey and geotechnical boring equipment. Field data collected during this phase will help the Flood Control District fully evaluate the type of damages and repairs needed. Later, after project construction contracts are awarded in a competitive bidding process, residents will see heavy construction equipment such as trucks and backhoes. Construction is expected to begin on some project sites later this year, and to be completed in 2019. 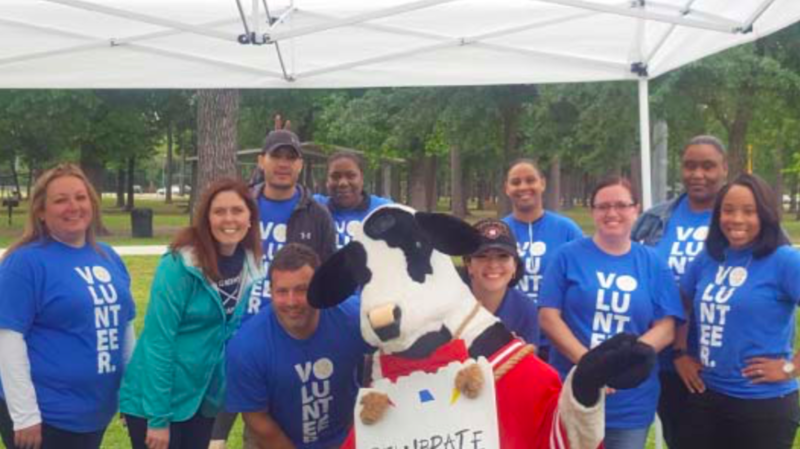 These are a few of the volunteers, families, and environmentalists who gathered in Crowley Park in Aldine, last Saturday to “plant and pluck” in observance of Earth Day, which was on Sunday. Organized events included tree planting, weeding and feeding, and trash pick-up along Greens Bayou that runs beside the park. 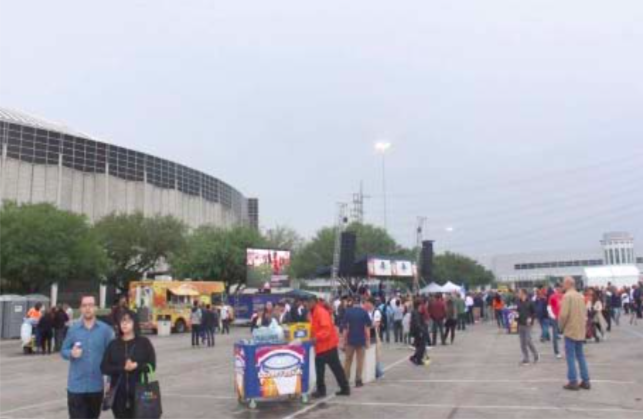 Other events included food trucks, vendors, and games for the kids. 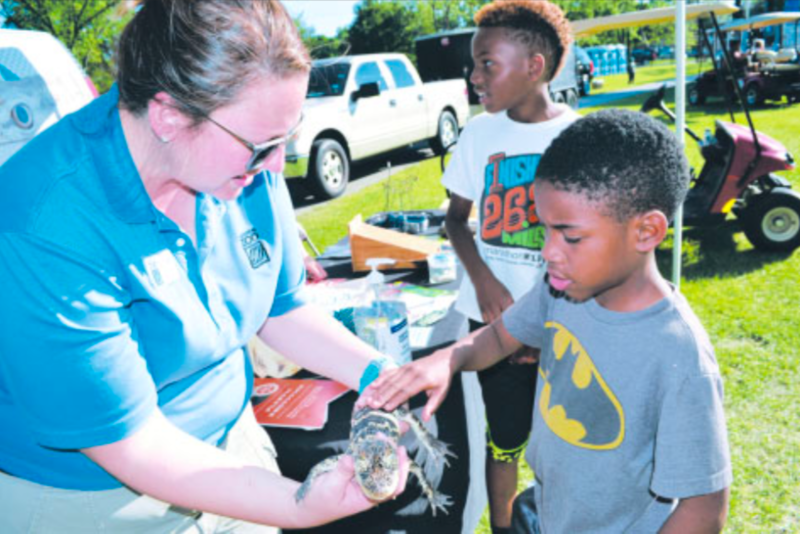 The Earth Day Event was organized by the Greens Bayou Organization, and the East Aldine District, and sponsored by local businesses. MORE ON PAGE 8. Houston Mayor Sylvester Turner, along with State Rep. Armando Walle joined Aldine ISD Superintendent Dr. Wanda Bamberg and her husband Dave at a dedication ceremony on Sunday, April 15, to formally dedicated the Dr. Wanda Bamberg Professional Development and Resource Center. Also pictured are members of the Aldine ISD Board of Trustees in front of the portrait of Dr. Bamberg that will hang in the facility. On Sunday, April 15, a dedication ceremony was held to honor Aldine ISD Superintendent Dr. Wanda Bamberg. The ceremony took place at the facility named in her honor, the Dr. Wanda Bamberg Professional Development and Resource Center, located at 9999 Veterans Memorial. Dr. Bamberg is retiring after devoting 36 years to the students and staff of Aldine ISD. She began her career in Aldine ISD in 1982 as a seventh- and eighth-grade reading teacher at Hoffman Middle School. She spent five years in the classroom before joining the administrative team as a program director of middle school language arts, director of curriculum and instruction, executive director of curriculum and instruction, assistant superintendent of curriculum and instruction, and in 2007 she was named Superintendent of Schools, a post she has held for the last 11 years. Current and former Board members, administrators, principals and staff attended the dedication ceremony. Joining current Board members were former Trustees A.W. Jones, Rick Ogden, Marine Jones, Alton Smith, Sarah Hill, the wife of former Trustee Emmett Hill and Cathy Griggs, the wife of former Trustee Merlin Griggs. Former superintendents M.B. “Sonny” Donaldson and Nadine Kujawa also attended. Dr. Bamberg’s husband Dave and son Josh were part of the proceedings as were family members from Alabama. Prior to the dedication ceremony, a reception was held in the foyer of the facility. U.S. Congresswoman Sheila Jackon Lee presented Dr. Bamberg with a Congressional proclamation for her 41 years (she taught in Alabama for five years before moving to Houston) in education and her 36 years of dedicated service to Aldine ISD. Congresswoman Lee also presented Dr. Bamberg with a United States flag that flew over the U.S. Capitol. Westfield Fire Department celebrated its 76 years of service to our community with music, petting zoo, bounce houses, blood drive, dunkin booth and lots of fun for the entire family during a Spring Fling event on April 17 at the new station on Lauder Rd. close to JFK Boulevard. 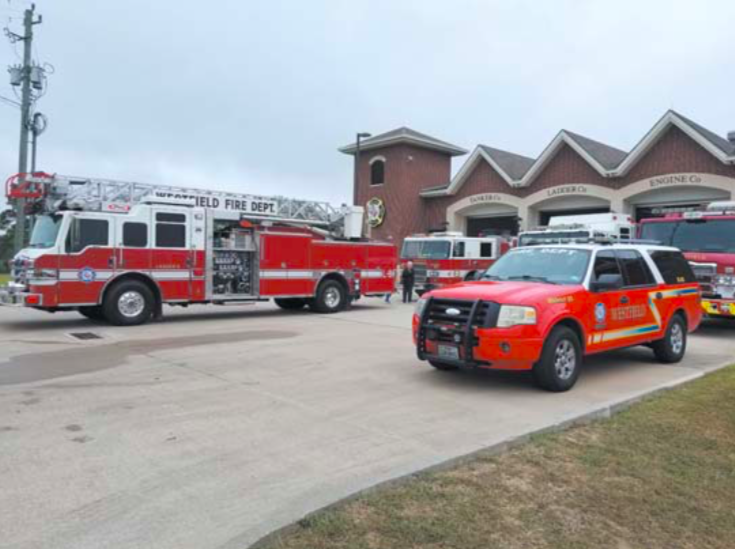 Families gathered to greet firefighters, see the new fire truck and other equipment used to help the community during a fire, emergency or disaster. Mayor Turner in front of the Family Day stage, where the band J. Paul Jr. and the Zydeco Nubreeds kept the music coming all day. 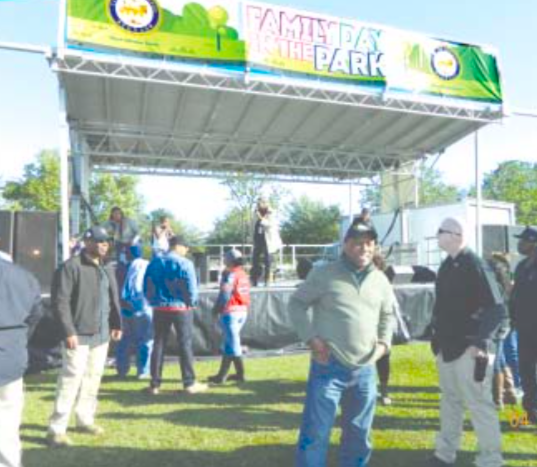 In spite of gray skies, last Saturday over 10,000 Houstonians gathered at Turner Park in Acres Homes, to enjoy the 11th annual Family Day, hosted by Mayor Sylvester Turner. 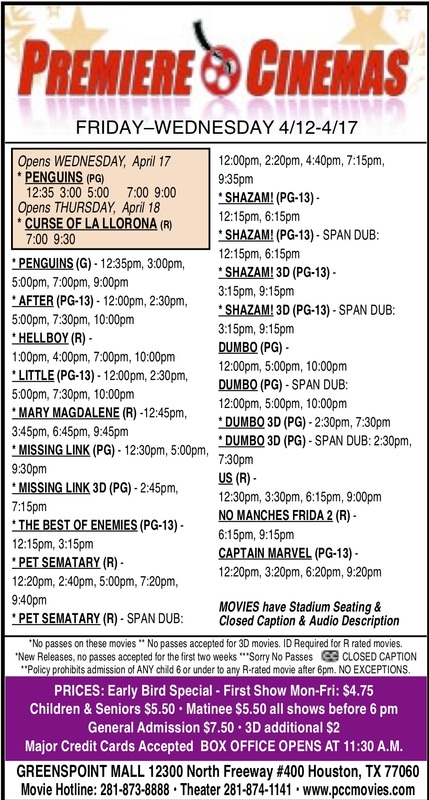 The all day event featured baseball games, plenty of free food, games, and more. Food tents were serving turkey legs, sausage on a stick, hot dogs, anchos, popcorn, snow cones and corn on the cob. Nathan’s famous hot dogs were there with food and a bounce house shaped like a hot dog. Performers included students from Aldine’s Carver High School, Baby Sonic Boom, the mariachi band Luna Llena from Rice University, Tiger Rock Martial Arts, and the teo Chew Temple lion dancers. Music was by J. Paul Jr. and the Zydeco Nubreeds. 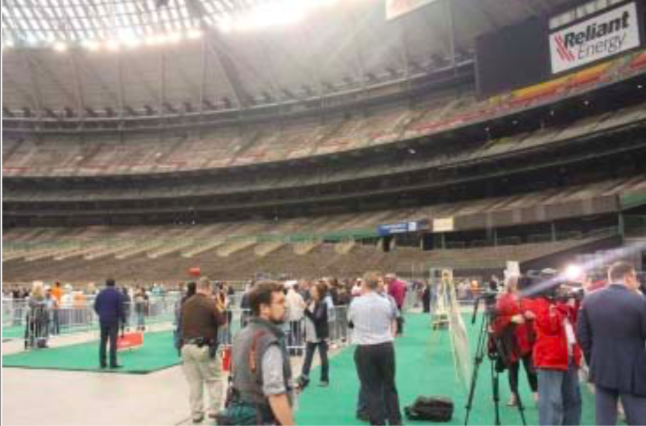 Commissioner’s Court in February approved a $105 million plan to renovate the Dome, and work will start in the fall, so this is the last time the Dowould be available to see it the way it was when it opened in 1965. Tuesday Harris County Commissioner’s Court will vote to authorize requests for qualifications (RFQ) for engineering and other services to identify watershed-wide flood risks, evaluate food mitigation strategies that address those risks and develop recommendations to enhance the flood warning system and action plans used by the emergency managers in the San Jacinto River Basin from its headwaters in Lake Houston across Harris County Precincts 1, 2, and 4. Harris County will be working with the San Jacinto River Authority as well as other municipalities to accomplish this task which was a part of Governor Greg Abbott’s charges for the region.